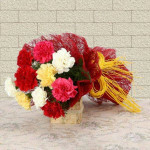 All your loved one's wishes would come true once they receive a bright mesmerising bunch of flowers from Chennai Online Florist. 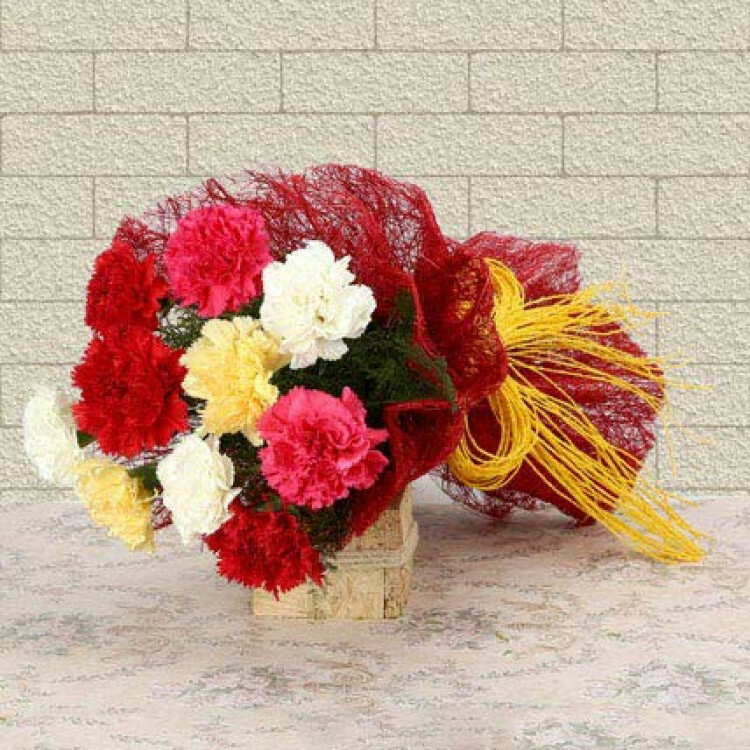 Get a cheerful bunch of 10 Mix Carnations beautifully packed in jute and completed with a yellow colour bows and make the day a special one for someone. For sheer elegance and innocence, this is an ideal gift for friends and family on birthday, anniversary, wedding or any other special occasion.